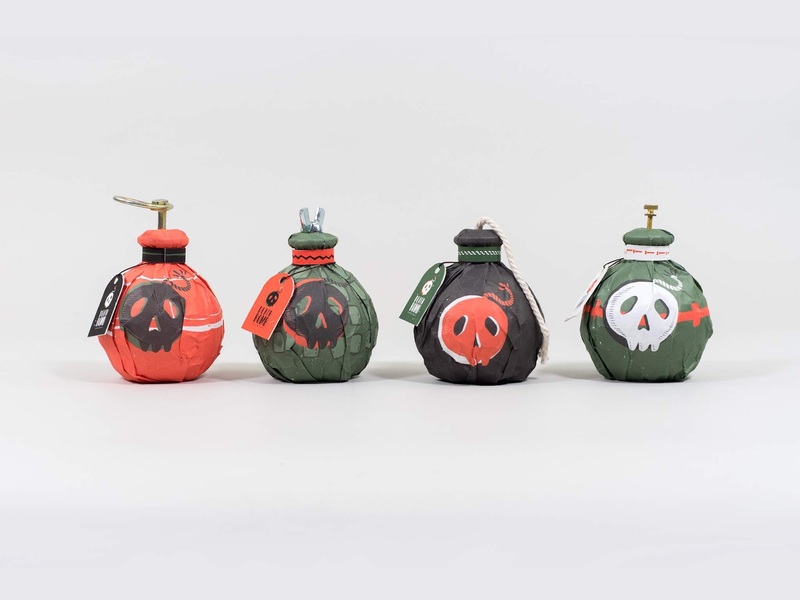 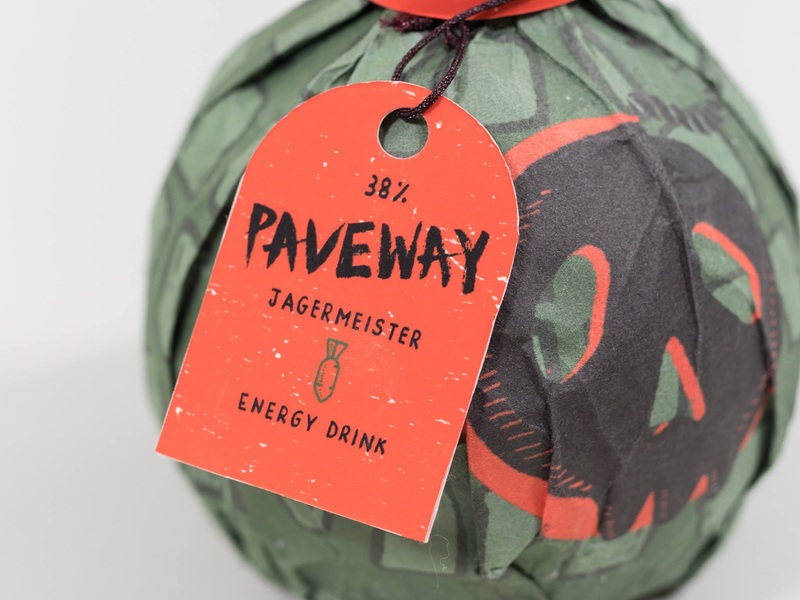 All 4 bombs were named and shaped after real bombs, the liquor that has higher alcohol level is packaged in a more powerful bomb. 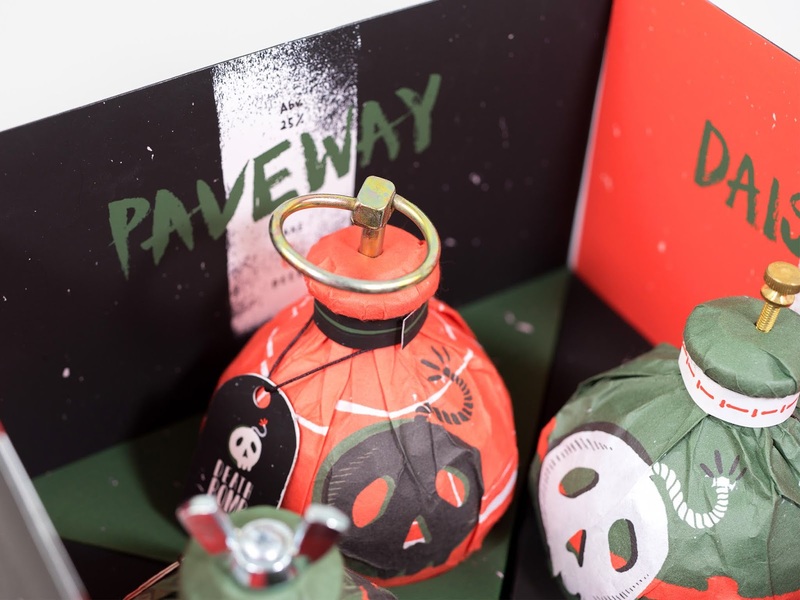 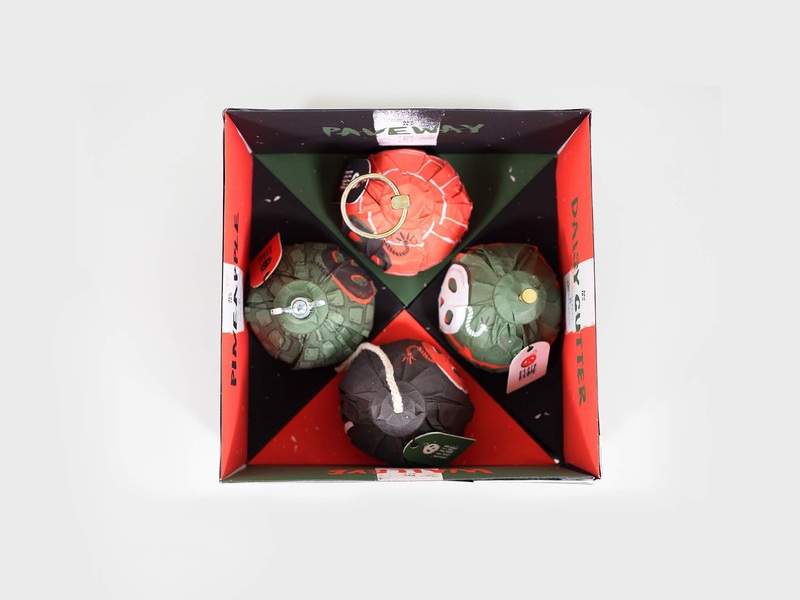 It is designed to be in a shape that people easily relate with bombs. 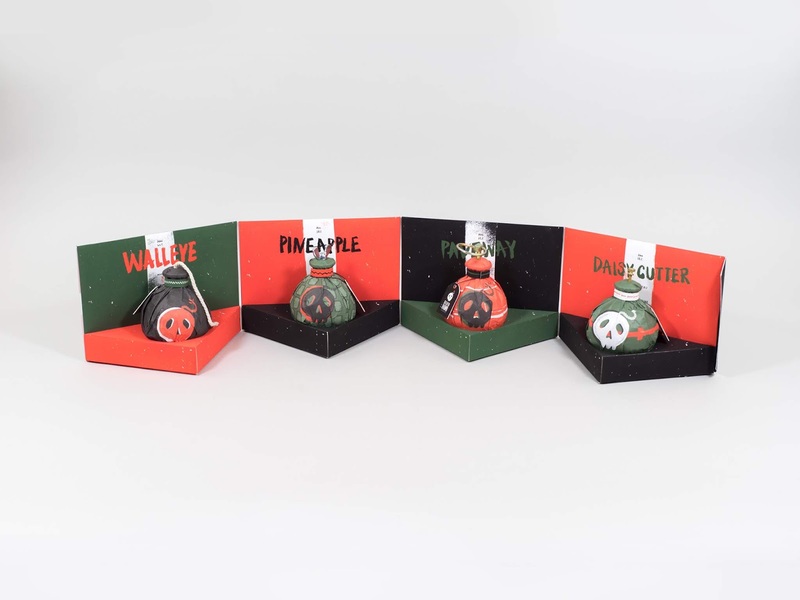 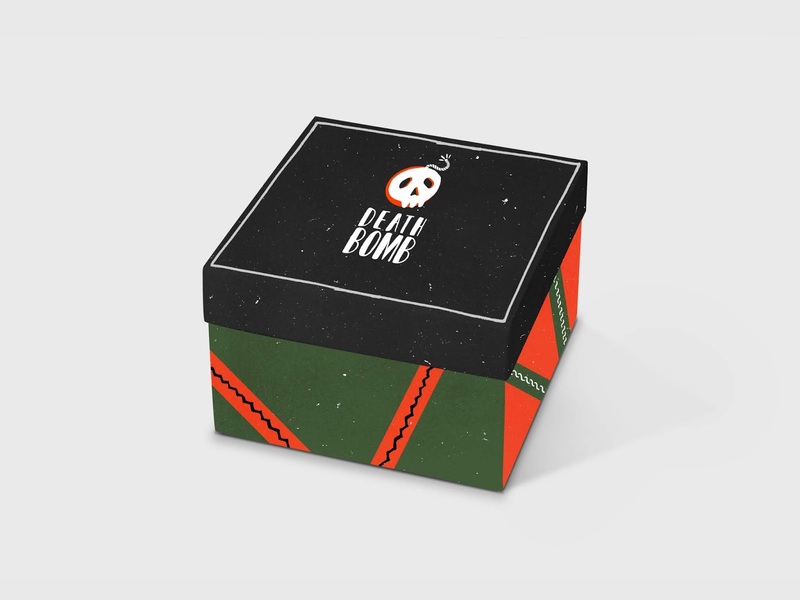 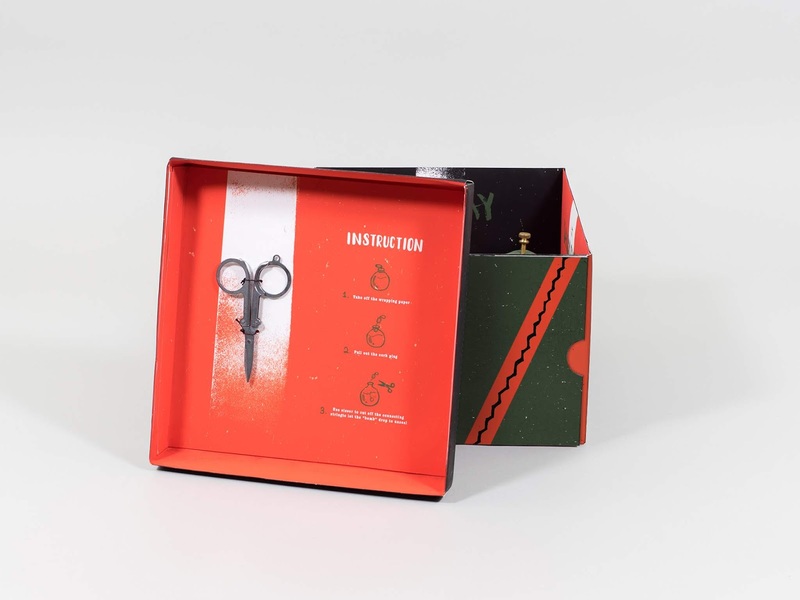 The 4 bottles are also packaged in a special structure that the box itself can open all the way 180 degrees from the side.